If you like the woven design look on your shoes then these lace up dress shoes are what you need to add to your suit and menswear wardrobe. 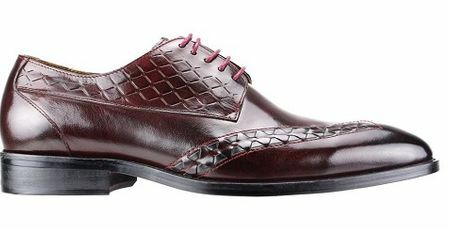 These Steven Land dress shoes are burgundy color leather with grey trim shoes will look great with anything you choose to wear them with. Made of fine quality leather.